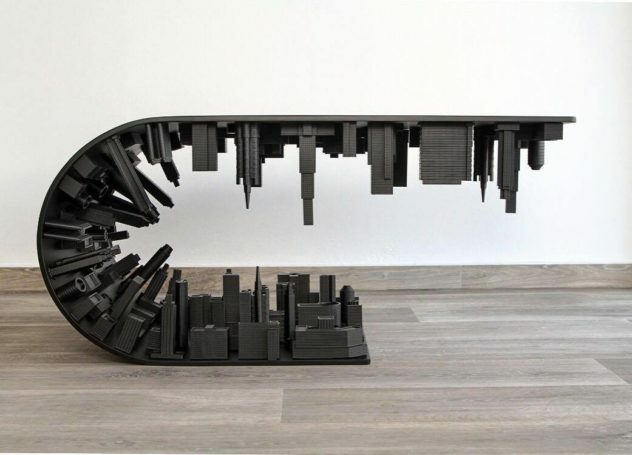 Wave City Coffee Table Black Edition by Stelios Mousarris. The Wave City Coffee Table Black Edition by Stelios Mousarris Bends Reality once more, this time recalling a distinctive neo-noir atmosphere. Spanish designer Tomás Alonso creates unique tubular furniture and lighting that play with the idea of tubes as a defining stylistic element. 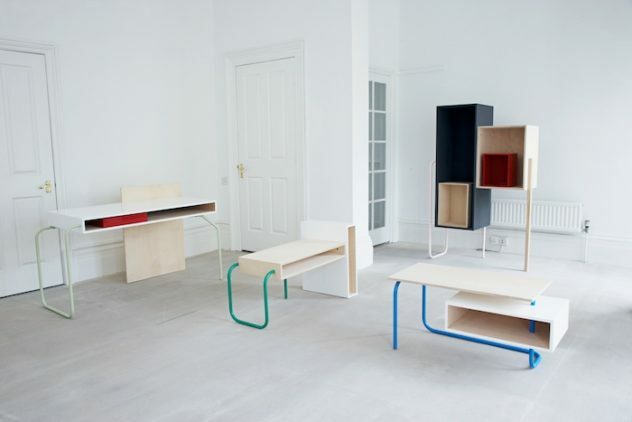 Possible Furniture by Robert Stadler. 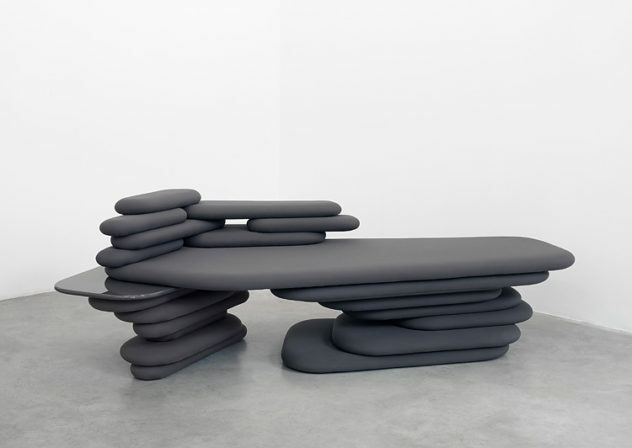 Possible furniture is a series of organic shaped furniture by Studio Robert Stadler that challenges our perception of what is natural and what isn‘t. 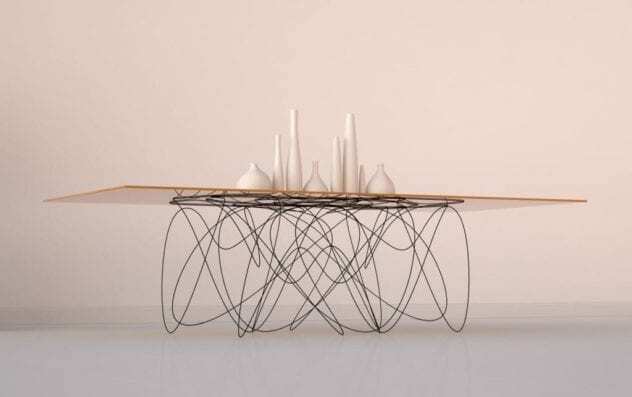 Infinity Table by Bozhinovski Design. 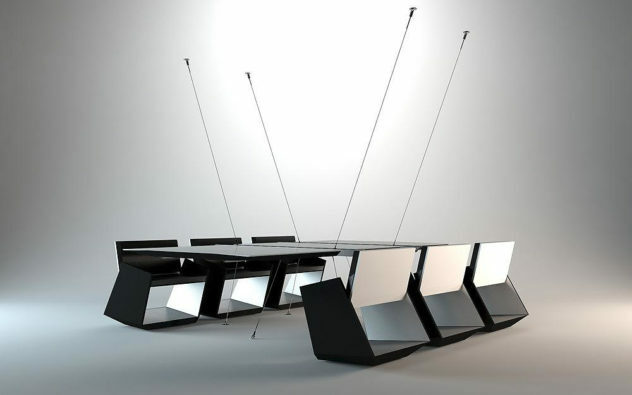 Forward thinking architectural office Bozhinovski Design presents the Infinity Table, an elegant conference table that literally levitates. 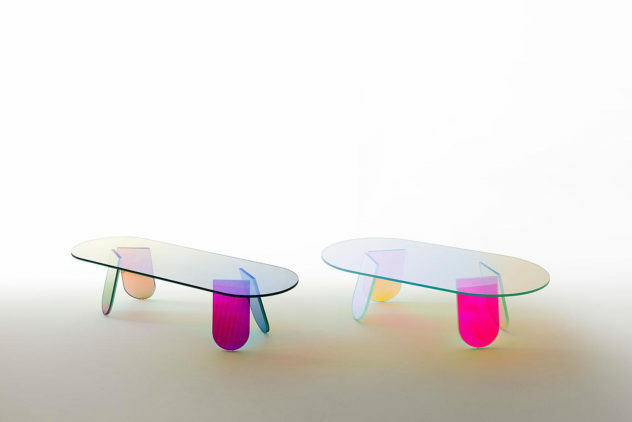 The Shimmer table collection by Patricia Urquiola is made from iridescent glass with a multicolored finish, giving the tables an ethereal element. 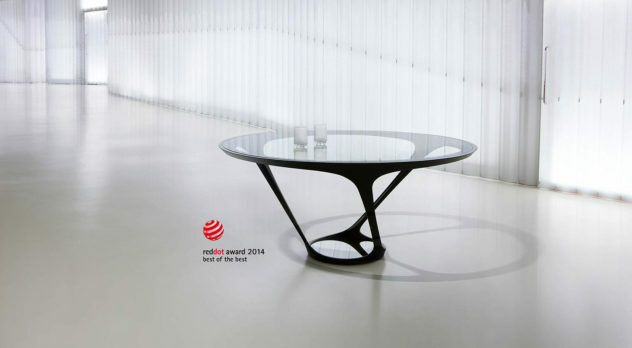 The iconic ORA-ITO table is a stunning ultra modern Round Dining Table designed by Ora Ïto for luxury French furniture label Roche Bobois. Minneapolis based designer John Foster presents the “Sparkle Palace Cocktail Table” a stunning artwork that is a fusion of glass, color and light.